GreenSignal Bio Pharma Ltd saw some traction from institutional investors on its penultimate day after it cut the issue price band and stretched the time period of the initial public offering (IPO) twice. The qualified institutional buyers’ (QIB) category saw investors bidding for 21% of shares reserved for them, stock exchange data showed. “Seeing foreign institutions subscribe to the issue gives us confidence at a time foreign institutions have been net sellers in equity and debt markets since the demonetisation programme was announced,” said an executive at Indian Overseas Bank (IOB) merchant banking division, on the condition of anonymity. Foreign portfolio investors (FPIs) have pulled out Rs 2,777.94 crore (a little more than $410 million) from the equity cash segment in the last two weeks, as per data collated by stock exchanges. In the same period, the BSE’s 30-stock benchmark Sensex has declined 6.61% after Prime Minister Narendra Modi announced the demonetisation of higher value Rs 500 and Rs 1,000 currency notes. “We are keeping our fingers crossed. Both the company as well as the merchant banker are making all efforts to get the requisite bids and the issue to succeed. We have approached banks and mutual funds,” said another IOB official, requesting anonymity. 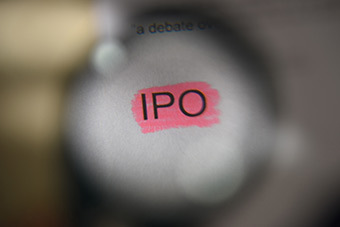 IOB is the sole financial advisor to GreenSignal’s IPO. GreenSingal needs full subscription in the institutional category for the issue to succeed, as stipulated under capital market regulations. While institutions were seen queuing in small numbers, retail individual investors and non-institutional investors’ category comprising high net-worth individuals (HNIs) cancelled their applications as the IPO period was extended, exchange data showed. Retail category saw its overall bid size reduce to 8.58 times compared with 8.83 times on Friday and 8.91 times a day prior. Bids in the non-institutional category reduced to 0.13 times their portion or was covered just 13% compared with 16% last week. GreenSignal is engaged in manufacturing and development of BCG vaccines. It aimed to raise as much as Rs 116 crore initially, but is now aiming at only up to Rs 110 crore. At the lower end of the price band it would be able to raise around Rs 99 crore.